I suppose that, as the rules dictate, there's nothing better for me to do than begin by asking for forgiveness. In reality, I don't know what I'm apologizing for, or why. But because I was born in a Muslim country --because I speak the language of Islam, or simply due to my name-- I feel obliged to say: I'm sorry. I ask for forgiveness from all the victims --those killed and injured-- whose lives were interrupted on Friday by the actions of some heartless thugs and murderers who, justifying their actions with stupidity, decided to kill for killing's sake. There is no reason, not religious, social, or familial, neither vengeance nor fanaticism, that justifies an act like the one committed in Paris, or the one committed in Lebanon, or like the ones that are carried out every day in Iraq, Syria, Yemen, Egypt, Libya, Indonesia and every other country in the world that has been plagued by terrorist acts purportedly carried out because "Allah is great." "I'm scared because on my passport, that cursed little document that seems to define who I am, there's a name that's both Arab and Muslim." I am not going to say the famous "Not in my name," because first of all, no one cares if I observe one religion or the other, and because killing --taking someone else's life-- cannot be justified; it has no name and reflects no community. Or, at least, it shouldn't. But even so, I will reiterate: I am sorry, even though I know I've done nothing wrong, but I feel I should apologize because I will be one of the people to suffer the consequences. And that scares me. A lot. Simply put, I want to say that I'm scared because on my passport, that cursed little document that seems to define who I am, there's a name that's both Arab and Muslim. I can be more or less religious, I can fight and struggle against terrorism, I can denounce the atrocities that besiege the victims of groups like Daesh and Al Qaeda; I can do everything in my power to help stop this disgrace that lurks in the world, but it doesn't matter-- nothing can save me, and for that reason, I am scared. Very scared. 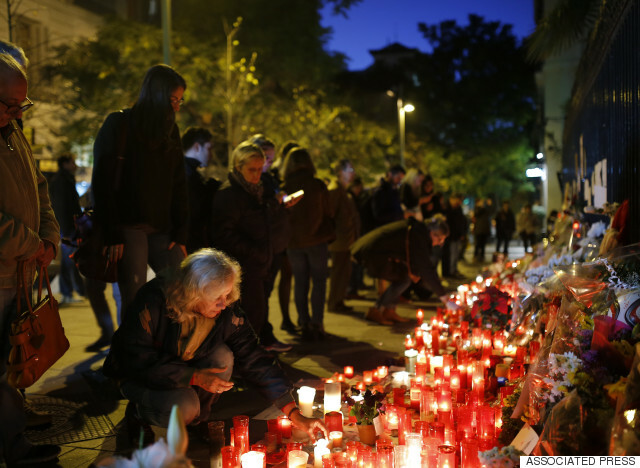 People place candles and flowers outside the French embassy in Madrid, Monday, Nov. 16, 2015. I also fear that one day I will be traveling on a train or plane, or walking down the street, going to the theater, going shopping, watching a soccer game, or simply enjoying the sun at the beach, and some maniac with a Kalashnikov will shoot me and the people around me. I am scared of being killed, and of seeing other innocent civilians killed at the hands of people who murder in the name of a God that history has linked with my name, my country of origin, my language and, thus, my life. I fear the politicians and heads of state that continue to meet because they say they're defending my rights and fighting against the terrorism that threatens my life, but later do nothing more than feed the insanity of those that sow terror. They bomb countries under terrorist rule but they don't kill the terrorists, instead giving them reasons to justify their madness. How difficult is it to fight tens of thousands of extremists? How hard is it to stop encouraging them? Who is really to blame for what's going on? Honestly, I don't care who's to blame, and I don't want to succumb to conspiracy theories or the surrealist logic that we see every day in the news, without truly understanding anything. "At the end of the day, it seems that the the victims of terrorism hold different values on the stock exchange." But do you know what I really fear? I fear the looks of hatred, disgust, rejection, xenophobia and terror, the accusations and the repugnance, that I know I will encounter on the streets of Europe today, tomorrow, and every time that an event like this happens here, in the same free and democratic Europe in which I live. So it's clear that although many innocent civilians have died, the ones that matter most are the French -- the ones from a European country -- and that the blood that runs through their veins is not the same as that of the Syrians, Afghans, Iraqis, Pakistanis or Yemenis. It's of a different color, and their passport is also of a different color and value. But it doesn't matter -- this isn't the issue or the problem, it was just a note about the hypocrisy that exists in a venomous, classist and selfish world. It was a point at which, one way or another, helped to break down the foundations of coexistence in European, which cost so much to create (if it ever really was created). In the end, I'm still scared. I'm still scared because the next time that I take a flight, the police in the airport will give me a look of suspicion; I'm scared of being taken to a room to be interrogated, because there's a stamp on my passport from an Arab country. I fear being treated like less than a human being. I am scared of being an object of fear or mistrust. I am scared of being an obstacle to coexistence. "The majority of us have nothing to do with this --in fact we condemn and reject it-- and we don't want to suffer its consequences." I'm frightened by the idea of being rejected or mistreated because of my appearance, my origins, my name or my family, for speaking Arabic, or because some terrorists decided to kill in the name of Islam. In reality there are many of us who fear the consequences of what happened in Paris. I say that, and again I repeat my apologies, for the Lebanese, the Iraqis and the Syrians -- because their lives won't make me suffer more racism. And that has become clear. We are a community -- yes, let's call it that -- because I do feel like part of an Umma. The majority of us have nothing to do with this -- in fact we condemn and reject it -- and we don't want to suffer its consequences. We are not heartless for being named Fatima or Muhammad; we are not terrorists because we dress a certain way, or speak the language that we speak, or have one sexual orientation or another. 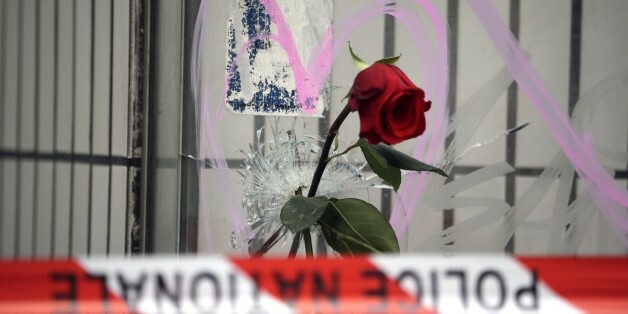 We don't want to see our friends and our neighbors die, or the man at the butcher shop who greets us every morning, or the couple who celebrated their anniversary on November 13 in that restaurant in Paris. And yes, I ask for forgiveness because, as a citizen of this world, I can't avoid this massacre, nor those that came before it, cutting off life from hundreds of thousands of innocent civilians. But it is also important to understand that it isn't by believing in Allah that one becomes a terrorist or gains the capacity to kill. And losing faith does one make someone an infidel that deserves to die. We are not responsible for their madness; they are simply terrorists, and we are innocent civilians. 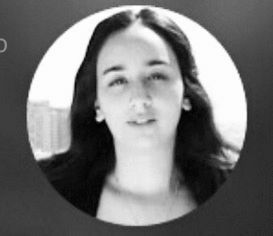 This post first appeared on HuffPost Spain. It has been translated into English and edited for clarity.